Cybersecurity is the protection of networks, computers, programs and data from attack, damage or unauthorized access. Cybersecurity is essential in today’s world for all businesses, small and large alike, due to the rising number of cyber attacks. In a report from AT&T, 80% of businesses acknowledged they have experienced some sort of a cyber attack. Businesses of all sizes are susceptible to attacks. Small to Medium-sized businesses (SMBs) are often less prepared to deal with security threats than their larger counterparts. Typically, SMBs are dealing with limited resources to devote to cybersecurity efforts. Rhyme iT can deliver essential solutions to help defend your business against and recover from a cybersecurity incident. Use this checklist to discover where your business may need more protection from cyber attacks. According to a recent SEC report, SMBs are the “principal target” of cyber attacks. 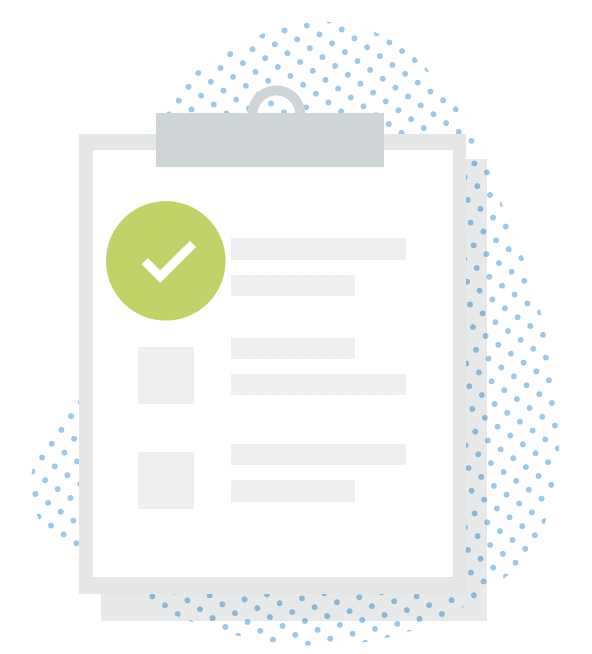 Use this checklist to be sure your critical business data is protected. Conduct a security risk assessment. Understand potential security threats (e.g., downtime from ransomware) and the impact they may have on your business (lost revenue). Use this information to shape a security strategy that meets your specific needs. Train your employees. Because cybersecurity threats are constantly evolving, an ongoing semi-annual training plan should be implemented for all employees. This should include examples of threats, as well as instruction on security best practices (e.g., lock laptops when away from your desk). Hold employees accountable. Protect your network and devices. Implement a password policy that requires strong passwords that expire every 90 days. Deploy firewall, VPN and antivirus technologies to ensure your network and endpoints are not vulnerable to attacks. Consider implementing multifactor authentication. Ongoing network monitoring should also be considered essential. Encrypt hard drives. Keep software up to date. It is essential to use up-to-date software products and be vigilant about patch management. Cyber criminals exploit software vulnerabilities using a variety of tactics to gain access to computers and data. Create straightforward cybersecurity policies. Write and distribute a clear set of rules and instructions on cybersecurity practices for employees. This will vary from business to business but may include policies on social media use, bring your own device, authentication requirements, etc. Back up your data. Daily backups are a requirement to recover from data corruption or loss resulting from security breaches. Consider using a modern data protection tool that takes incremental backups of data periodically throughout the day to prevent data loss. Enable uptime. Choose a modern data protection solution that enables “instant recovery” of data and applications. Application downtime can significantly impact your business’ ability to generate revenue. Know where your data resides. Maintaining oversight of business data is an important piece of the security puzzle. The more places data exists, the more likely it is that unauthorized individuals will be able to access it. Control access to computers. Use key cards or similar security measures to control access to facilities, ensure that employees use strong passwords for laptops and desktops. Administrative privileges should only be given to trusted IT staff. Cyber crime is growing at a rapid rate and businesses are increasingly targeted. Developing a robust, multi-layered cybersecurity strategy can save a business. Ongoing employee education and security technology will boost your front line of defense and dramatically decrease the likelihood of any breaches. Lastly, a solid, reliable backup and recovery solution is the second and most essential layer of defense, allowing businesses to quickly recover unscathed should things turn ugly. Contact a Rhyme iT Professional today to conduct a security risk assessment to create and implement a security strategy that fits your business.